Yeh which is why it's not really a good idea to have just a deep playmaker playing without someone who can carry the ball next to him. Alonso signs 2 year contract extension, according to Marca. I think he's an average player, what's the problem? More the reason to agree with Valkyrja. Him and Khedira both need to get shipped out, both are weak links in the midfield.. I've never really been a fan of Alonso under Mourinho. Mainly because him and Khedira just couldn't really do much against top midfields. However Alonso and Modric is a much better partnership. Whatever Alonso's weaknesses are, Modric makes up for them. Alonso's one of the best at playmaking from deep. Yohan Modric wrote: I've never really been a fan of Alonso under Mourinho. Mainly because him and Khedira just couldn't really do much against top midfields. But Modric and Alonso have yet to play with each other in a double pivot together against a top midfield. Modric-Alonso is not a good partnership for me, at least not against a top midfield, unless of course we have another midfielder beside them- preferably Khedira. And to the posters hoping we wouldn't have extended Alonso- absolutely clueless. Our midfield has been atrocious without him, the second he came back we have been able to actually keep the ball, and not just completely bypass the midfield. Night and day. Good news! 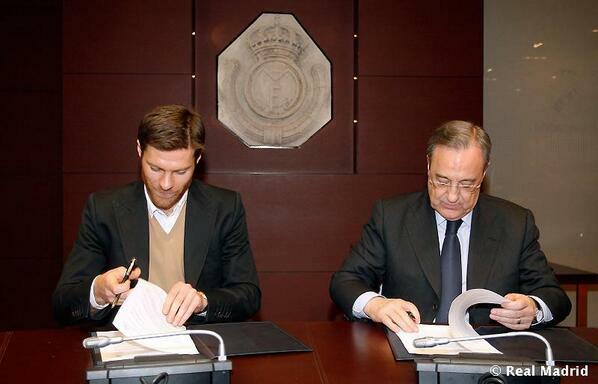 Xabi Alonso renews his contract. but will less games, so that he can lengthen his career. Aren't you that troll from barcaforum? Neither can any of our other midfielders. Xabi gives the team a hell of a lot more balance than Modric--Illarra, and in a double pivot with the attacking 4 that we have in front of them, it is necessary. The fact of the matter is none of our midfielder configurations that exclude Xabi have been up against a top midfield that can actually press us (considering Khedira is also excluded due to injury). Playing 2 players (Modric, Illarra) who don't have half of Xabi's defensive ability in a double pivot that is already incredibly weak due to the lack of tracking back/team defense by Ronaldo, Isco, Bale, etc. is a massive liability that has been absolutely evident in Xabi's absence- even against smaller teams. Xabi Alonso spoke about his recent contract extension until 2016 in an interview with the club’s media channels. 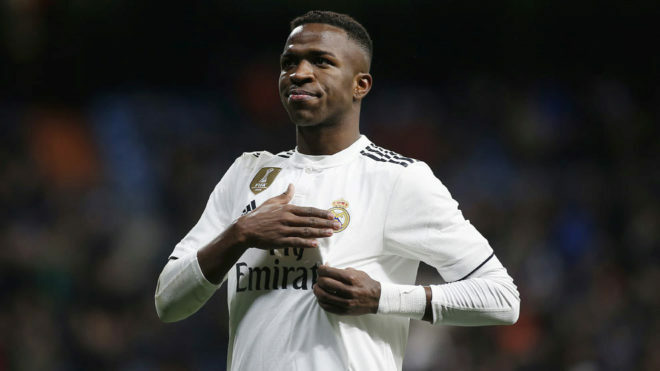 The Whites’ midfielder wanted to "say thank you for the support and affection" to the fans and spoke about his ambitions for the next two seasons: "I am very happy about staying here, where I feel at home, for two more years and hopefully win lots of titles". In addition to talking about current going-on and aims for this season, the player from Tolosa was clear about his reasons for renewing: "I knew that this was the best place for me, the best club that I could be at. The support of the fans, teammates, how the club has acted, the day-to-day ... everything has convinced me". Xabi, two more years at Real Madrid. How do you feel about the renewal? Very good, very happy. It was a huge decision for me and my family. I'll be here for two more seasons and I'm very excited, motivated and committed to the club. Now I have to work hard, try to play well and see if we can win titles at the end of season. What were the main reasons that you renewed? I knew this was the best place for me; it was a very important decision and I didn’t want to take it lightly. Lots of small things have been adding up and convinced me to stay here. The support of the fans, teammates, how the club has acted, the day-to-day ... everything has convinced me. I am very happy with the decision that we have made. Those three things; the club, my teammates and the support that I've had from the fans, were very important. Also, my family are very happy in Madrid. Your renewal is like a late Christmas present for the fans. It is me that got given the present. To stay here and have the support and respect of the fans is very important at a great club like Real Madrid. What I have to do is to keep going as I am and not change. After five years at Real Madrid, the Bernabéu is like home now. Yes, I have been gradually feeling more and more at home since I arrived. I’ve been here for five seasons, I'll be here for two more and I'll have this feeling for the rest of my life. In the same way that when I left Real Sociedad and Liverpool, I kept that feeling. Real Madrid means a lot to me and I consider here to be my home. We want to achieve everything. We know how hard it is but we are ambitious. One thing at a time, but without prioritising any competition. La Liga and the Champions League mean different things but actions speak louder than words. It's time keep trying to improve on the field because the decisive matches come from February onwards and we have to be prepared. 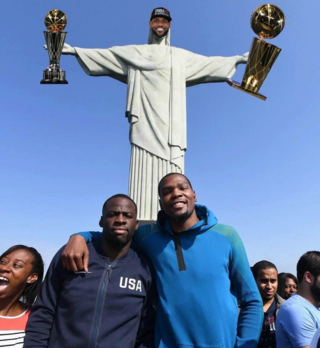 How is the squad doing? We're doing well. We have to take things one match at a time, but that is the best recipe for getting to March and April, the decisive part of the season, with a chance of winning everything. Yeh long term that might be a better idea, a DM and Modric. However so far Modric-Alonso have done alright. We'll just have to see how they do against top sides. Comparing pre injury Khedira and Modric, the latter still had better defensive stats. at least Di Maria when he has a good day is unplayable. I think the 3 man midfield has been hugely beneficial for Alonso in terms of work load. He has been able to solely focus on sweeping up if the other guys have not been able to get the ball and is very smart in his position. Another excellent performance from him. He's doing so much better in a 3 man midfield. Glad he renewed. Completely vital to the team, maybe even more than Ronaldo. We are completely different with him.